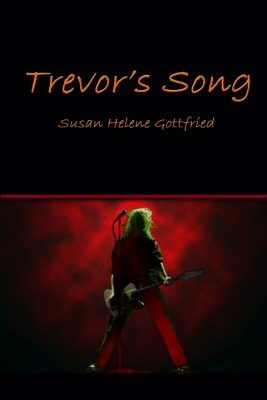 The cover of Trevor’s Song, because that novel is as personal as this post. If you’ve read it, please leave a review! If you haven’t, grab a copy at your favorite retailer. I don’t usually get this personal when I give interviews. I don’t like to, and I often skip them. I encourage all authors to draw their own boundaries about what they will and won’t talk about, and I encourage their/our hosts to allow them/us to do so. But something compelled me in this media query. Maybe it’s my own need to finally share with the world my real perspectives and my real truths, things I’ve kept hidden from all of you but increasingly not to myself. Maybe I’m making up for fifteen years of hiding. Or maybe I just feel comfortable talking about it at last. Certainly, my truth may be another’s lifeline, salvation, or help. Hell, maybe it’ll inspire some fiction, and that’s the best compliment an editor like me can get. The article is up at Reader’s Digest. I’ll let you click through and read it, not because it’s too horrible and personal to talk about but because a reporter did some good work and you should check it out and give her props for it. Fiction ain’t the only kind of writing I love and respect (it’s just my preferred type of writing to work on), and I encourage you to seek out good writing and good reporting wherever you can.